Chance @ Sommerville Special School: Hard and fast down the alley. 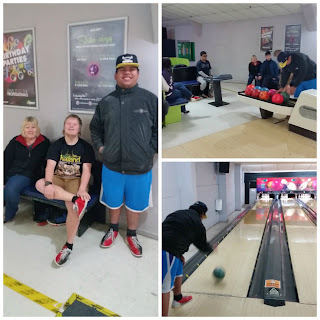 On wednesday we went bowling. I put on size 13 shoes My ball was blue. I had to bowl straight. I knocked down lots of pins. After bowling I played a basket ball shooting game. We finished by playing laser strike. We had to wear a vest and shoot the other people. I did lots of running. It was amazing.